BACK UP CAMERA, LOW MILES, WITH GREAT FUEL ECONOMY AND IT IS READY FOR YOU TO TAKE IT HOME!!! CASTLE HAS IT!!! This 2016 Chevrolet Malibu LT is ready for you to take it home!!!! You get a sleek Nightfall Gray Metallic exterior that is the perfect match with the Ebony interior that comes with cloth seating throughout!!! Get ready to save some money at the pumps!!! The turbocharged 1.5L/4 cylinder engine in this gem will give you a great average of 27mpg in the city and 37mpg on the highways!!! Worried about getting out of tight spaces?! Worry no more this ride comes with a back up camera!! Power windows, power door locks, power mirrors and a keyless entry are all coming standard!! Do not wait, hurry on down to Castle Chevrolet North and scoop up this beauty while it is still here!! You may also contact one of our fine sales representatives at 847-593-4666!!! AWD, POWER SUNROOF, POWER LIFT GATE, NAVIGATION, PREMIUM AUDIO, GREAT FUEL ECONOMY AND A GREAT PRICE TO MATCH!!! CASTLE CHEVROLET NORTH HAS IT!! This 2016 Chevrolet Equinox LTZ is ready to get back out on the open road!! This ride comes to you in a sleek Mosaic Black Metallic exterior that is the perfect match for the Jet Black interior that comes with leather seating throughout!! Not to mention that this ride comes with a 2.4L 4 cyl engine paired up with an automatic transmission giving you an estimated 20 MPG City and 29 MPG Highway! Worried about getting lost?! Worry no more this ride comes with built in navigation!! Looking for a nice breeze?! Look no further this ride comes with a power sunroof!! Winter will be a breeze with this rides AWD as well as heated front seats and remote vehicle starter!! Could there possibly be anything else?! Of course this ride even comes with a back up camera, power windows, power door locks, power mirrors and a keyless entry are all coming standard!! Do not wait, hurry on down to Castle Chevrolet North and scoop up this beauty while it is still here!! You may also contact one of our fine sales representatives at 847-593-4666!!! PLENTY OF ROOM FOR EVERYONE AND A GREAT PRICE TO MATCH!! CASTLE CHEVROLET NORTH HAS IT!! This 2017 Chevrolet Express LT 15 passenger van is ready to get back out on the open road!! This ride comes to you in a sleek White exterior that pairs up perfectly with the Pewter interior that comes with cloth seating throughout!! Not to mention that this ride has only 48,928 miles under its belt!! This ride even comes with the available 6.0L V8 motor giving you plenty of power!! Power windows, power door locks, power mirrors and a keyless entry are all coming standard!! Do not wait, hurry on down to Castle Chevrolet North and scoop up this beauty while it is still here!! You may also contact one of our fine sales representatives at 847-593-4666!!! LOW MILES WITH ROOM FOR EVERYONE!! CASTLE CHEVROLET NORTH HAS IT!! This 2017 Chevrolet Express LT 15 passenger van is ready to get back out on the open road!! This ride comes to you in a sleek White exterior that pairs up perfectly with the Pewter interior that comes with cloth seating throughout!! Not to mention that this ride has only 41,490 miles under its belt!! This ride even comes with the available 6.0L V8 motor giving you plenty of power!! Power windows, power door locks, power mirrors and a keyless entry are all coming standard!! Do not wait, hurry on down to Castle Chevrolet North and scoop up this beauty while it is still here!! You may also contact one of our fine sales representatives at 847-593-4666!!! 4WD, BUCKET SEATS, ALL STAR PACKAGE, HEATED FRONT SEATS, TONNEAU COVER, RUNNING BOARDS!! A GREAT TRUCK AT A GREAT PRICE!! CASTLE CHEVROLET NORTH HAS IT!! This 2016 Chevrolet Silverado 1500 LT Double Cab is ready to get back on the open road!! Included with this vehicle is Castle's exclusive best value guarantee! This vehicle comes to you in a sleek Tungsten Metallic exterior that pairs up perfectly with the Jet Black interior that comes with cloth seating throughout! This vehicle comes loaded with options! Winter will be a breeze with this vehicles 4WD capabilities as well as heated front seats!! This ride is set up to tow!! This ride comes with a trailering package that gives you an auto locking rear differential. Could there be anything else?! Of course this ride even comes with bucket front seats, tonneau cover as well as chrome running boards!!! Power windows, power door locks, power mirrors and a keyless entry are all coming standard!! Do not wait, hurry on down to Castle Chevrolet North and scoop up this beauty while it is still here!! You may also contact one of our fine sales representatives at 847-593-4666!!! 4X4, TRAILERING PACKAGE, RUNNING BOARDS, TONNEAU COVER, SPRAY IN BEDLINER ALL WITH A GREAT PRICE TO MATCH!!! CASTLE CHEVROLET NORTH HAS IT!!! This 2016 Chevrolet Colorado Z71 Extended Cab is ready for you to take it home!!! You get a sleek Red Rock Metallic exterior that is the perfect match with the ebony interior that comes with leather seating with cloth inserts throughout!!! Do not worry about the winter in this 4x4 gem!!! The remote engine start as well as heated front seats will have this gem all warmed up before you even step foot out the door!!! Need to do some towing!?! The tow package will let you haul around anything you need to!! Worried about getting out of a tight space?! Worry no more this ride even has a back up camera!! Could there be anything else?! Of course!! This ride even comes with chrome assist steps, tonneau cover and even a spray in bedliner!! Not to mention that this ride has only 26,748 miles under its belt!! Do not wait, hurry on down to Castle Chevrolet North and scoop up this beauty while it is still here!! You may also contact one of our fine sales representatives at 847-593-4666!!! 4X4, NAVIGATION, BOSE AUDIO, TRAILERING PACKAGE, SPRAY IN BEDLINER ALL WITH A GREAT PRICE TO MATCH!!! CASTLE CHEVROLET NORTH HAS IT!!! This 2016 Chevrolet Colorado Z71 Crew Cab is ready for you to take it home!!! You get a sleek Laser Blue exterior that is the perfect match with the ebony interior that comes with leather seating with cloth inserts throughout!!! Do not worry about the winter in this 4x4 gem!!! The remote engine start as well as heated front seats will have this gem all warmed up before you even step foot out the door!!! Need to do some towing!?! The tow package will let you haul around anything you need to!! Worried about getting out of a tight space?! Worry no more this ride even has a back up camera!! Could there be anything else?! Of course!! This ride even comes with chrome assist steps, tonneau cover and even bose audio!! Not to mention that this ride has only 20,981 miles under its belt!! Do not wait, hurry on down to Castle Chevrolet North and scoop up this beauty while it is still here!! You may also contact one of our fine sales representatives at 847-593-4666!!! 4WD, SUNROOF, NAVIGATION, HEATED/ VENTILATED FRONT SEATS, TONNEAU COVER, BEDLINER, RUNNING BOARDS!! A GREAT TRUCK AT A GREAT PRICE!! CASTLE CHEVROLET NORTH HAS IT!! This 2017 Chevrolet Silverado 1500 High Country is ready to get back on the open road!! Included with this vehicle is Castle's exclusive best value guarantee! This vehicle comes to you in a sleek Iridescent Pearl Tricoat exterior that pairs up perfectly with the Jet Black interior that comes with leather seating throughout! This vehicle comes loaded with options! Winter will be a breeze with this vehicles 4WD capabilities as well as heated front seats, heated steering wheel and even remote vehicle starter!! This ride even has you covered on those hot summer days with ventilated front seats and power sunroof!! Getting lost will be a worry of the past with built in navigation!! Could there be anything else?! Of course this ride even comes with a tonneau cover as well as chrome running boards and even a spray in bedliner!!! **This vehicle has passed a detailed 172-point vehicle inspection and is eligible for GM Certification, however, price and warranty information may vary from the vehicle's listing due to the timing of the inspection and updates to 3rd party listings ...Please see a GM Certified Castle Sales Representative to verify pricing, warranty and availability details. ** Power windows, power door locks, power mirrors and a keyless entry are all coming standard!! Do not wait, hurry on down to Castle Chevrolet North and scoop up this beauty while it is still here!! You may also contact one of our fine sales representatives at 847-593-4666!!! AWD, POWER SUNROOF, POWER LIFT GATE, NAVIGATION, SAFETY PACKAGE, GREAT FUEL ECONOMY AND A GREAT PRICE TO MATCH!!! CASTLE CHEVROLET NORTH HAS IT!! This 2016 GMC Terrain SLT is ready to get back out on the open road!! This ride comes to you in a sleek Black exterior that is the perfect match for the Jet Black interior that comes with leather seating throughout!! Not to mention that this ride comes with a 2.4L 4 cyl engine paired up with an automatic transmission giving you an estimated 20 MPG City and 29 MPG Highway! Worried about getting lost?! Worry no more this ride comes with built in navigation!! Looking for a nice breeze?! Look no further this ride comes with a power sunroof!! Winter will be a breeze with this rides AWD as well as heated front seats and remote vehicle starter!! Could there be anything else?! Of course! This ride even comes with a safety package giving you rear park assist, rear cross traffic alert, and even side blind zone alert!! Could there possibly be anything else?! Of course this ride even comes with a back up camera, power windows, power door locks, power mirrors and a keyless entry are all coming standard!! Do not wait, hurry on down to Castle Chevrolet North and scoop up this beauty while it is still here!! You may also contact one of our fine sales representatives at 847-593-4666!!! AWD, SUNROOF, SECOND ROW SKYLIGHT, HEATED SEATS, BUCKET SEATS, 7 PASSENGER, WITH PLENTY OF ROOM AND A GREAT PRICE TO MATCH!! 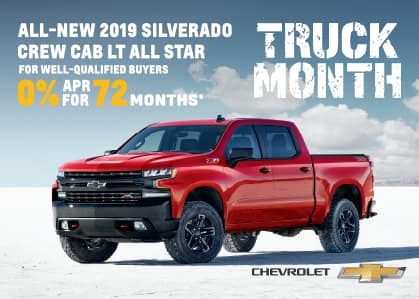 CASTLE CHEVROLET NORTH HAS IT FOR YOU!!! This 2016 GMC Acadia SLE-2 AWD is ready for you to take it home!!! You get a sleek Ebony Twilight Metallic exterior that is the perfect match with the Ebony interior that comes with cloth seating throughout!!! Running out of room will not be a problem!!!! With the third row seating giving you room for 7 passengers you will always have plenty of room for everyone and everything!!! Winter will be a breeze with this vehicles AWD as well as heated front seats and remote vehicle starter!! Looking for a nice breeze?! Look no further this ride comes with a power sunroof with second row skylight!! Power windows, power door locks, power mirrors and a keyless entry are all coming standard!! Do not wait, hurry on down to Castle Chevrolet North and scoop up this beauty while it is still here!! You may also contact one of our fine sales representatives at 847-593-4666!! STYLE, LUXURY LOADED WITH OPTIONS AND A GREAT PRICE TO MATCH!!! CASTLE CHEVROLET NORTH HAS IT!! This 2016 Buick Enclave Premium is ready to get back out on the open road!! This ride comes to you in a sleek Ebony Twilight Metallic exterior that is the perfect match for the Black interior that comes with leather seating throughout!! Worried about getting out of tight spaces?! Worry no more this ride comes with a back up camera!! With room for 7 passengers running out of room wont be a problem!! Winter will be a breeze with this vehicles remote vehicle starter as well as heated front seats!! Looking for a nice breeze? Look no further this ride comes with a power vehicle sunroof!! Worried about getting lost?! Worry no more this ride comes with built in navigation!! Power windows, power door locks, power mirrors are all coming standard!! Do not wait, hurry on down to Castle Chevrolet North and scoop up this beauty while it is still here!! You may also contact one of our fine sales representatives at 847-593-4666!! !